Tim Ferriss, the #1 New York Times best-selling author of The 4-Hour Workweek, shares the ultimate choose-your-own-adventure book-a compilation of tools, tactics, and habits from 130+ of the world's top performers. From iconic entrepreneurs to elite athletes, from artists to billionaire investors, their short profiles can help you answer life's most challenging questions, achieve extraordinary results, and transform your life. How could I better say "no" to the trivial many to better say "yes" to the critical few? Why tennis champion Maria Sharapova believe that "losing makes you think in ways victories can't." This reference book, which I wrote for myself, has already changed my life. I certainly hope the same for you. I wish you luck as you forge your own path. "If you read one self-help book this year, let this be it. 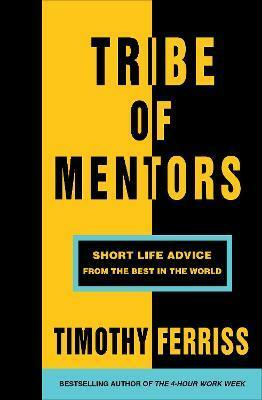 If you have always hated self-help books, this one will change your mind."